Getting healthy? Before you swear off your favorites, like cookies & milk, how about finding a healthier alternative? Because let’s face it: a life without cookies is not the life I want to live, and I’m sure you don’t either! I’m a huge fan of NOT swearing foods off entirely, but finding a healthier replacement for them. Because a.) when I swear them off it just makes me want them MORE and b.) I don’t believe in depriving myself. I’d rather hang on to a couple extra pounds than be miserable while everyone else gets to enjoy. No thanks. Not all cookies are created equal though. Most cookies are made with processed junk. White sugar, white flour, and canola oil. I stumbled across this recipe in my kitchen one night after dinner when my sweet tooth was griping at me. And when I say stumbled I mean I was hard-up for some cookies and pulled some random ingredients out of my pantry and fridge and threw them together. Since then, I have somewhat perfected these delicious treats and I keep them on hand as a healthy alternative when that sweet tooth comes to visit, which is often! These cookies are gluten-free as well! 2. In a large bowl, combine all ingredients and stir with large spoon until blended evenly. 3. Use a 1/2 cup measuring cup to scoop the mixture, packing it firmly, then placing it on your cookie sheet covered with tin foil. 4. Bake for 12 minutes or until golden brown. 5. 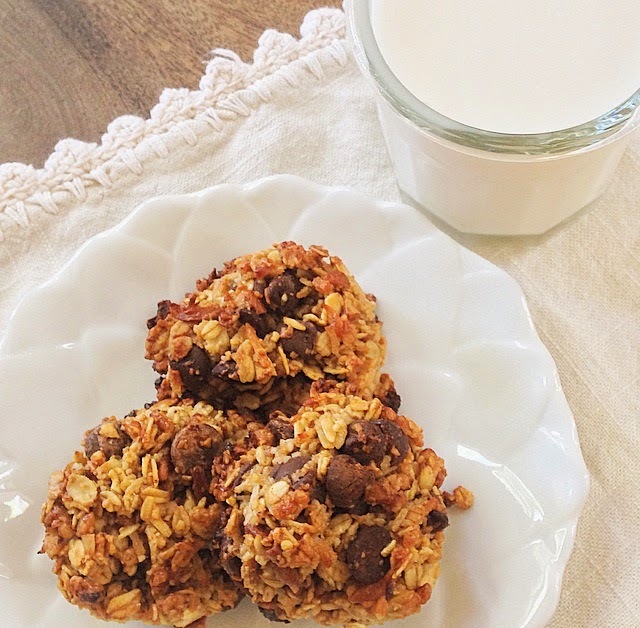 Enjoy your cookies with a glass of almond milk! New to the essential oils game? That’s ok. So was I until just a few months ago. I had heard people raving about them but my skeptical personality means I’m usually the very last person to jump on board, which is why you can trust me when I say that these essential oils are magical little bottles of the greatest natural healing & wellness I've experienced.. ever. Essential Oils are concentrated liquids derived from plants, trees and flowers. When grown, harvested and distilled properly, they can have a variety of health benefits. It is important to purchase pure, therapeutic-grade essential oils that are concentrated naturally through steam distillation, as the use of synthetic materials to extract oils will alter their properties and affect their therapeutic value. Many of the less expensive oils sold in stores and online are cut with alcohol, preservatives or diluted. Be sure to ask before you buy. 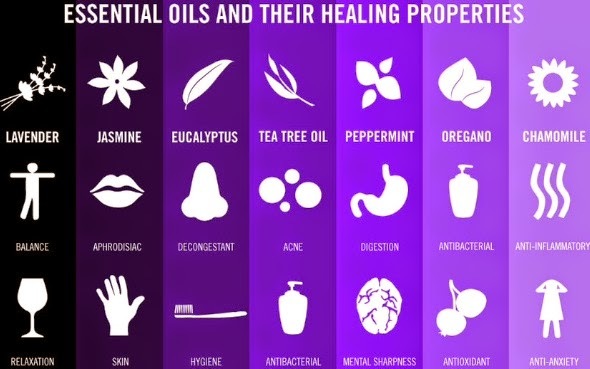 Essential oils may be applied directly to the skin. Be sure to check the label on any oil you are using as there are slightly different recommendations for topical application for individual oils. Some oils may be applied directly from the bottle and some should be applied through a carrier oil such as coconut & grape seed oil. Read the instructions on the bottle for proper application. The aromatic properties of essential oils stimulate the pineal gland (responsible for releasing melatonin), sense of smell and positively affect our bodies, moods and minds simply through inhalation. Oils may be inhaled directly from the bottle, your hands, bath or diffused in your home or work space. 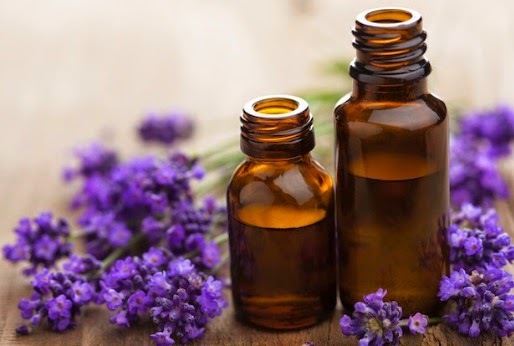 While there are some essential oils that should not be ingested, many can be safely used in an empty capsule or combined in a favorite recipe or with liquids (Therapeutic-grade only, as lesser quality oils are often cut with preservatives and not safe for ingesting). Safety is key, so always check the label or with a health care professional first to ensure an oil is meant to be used internally. *Please Note: Never use therapeutic–grade oils in plastic bottles – only use in glass or stainless steel. Therapeutic–grade oils are so potent, that they begin to break down the petro-chemicals and leech plastic particles into the water. Last week was a doozy in So-Cal. With temperatures in the high 80's, we were wondering if Spring had been skipped-over this year and we were headed directly into Summer! Have you noticed that everyone gets short tempered and more irritated as soon as the temperature start to rise? People become impatient, aggravated, and... sweaty. In Ayurveda, they call this heat-aggravated Pitta. Pitta is one of the Ayurvedic Doshas. Hot, fiery, intense and strong, it can send emotions through the roof and create moodiness, aggression and hot-tempers. Other signs of aggravated Pitta are impatience, heartburn, acid reflux, stomach ulcers, lethargy, skin rashes, acne, low blood sugar and difficulty falling asleep. Eat more foods that are sweet, bitter and cooling such as salads, smoothies and fresh fruit. Refrain from eating food that is spicy, sour, salty or hot. Avoid hot peppers & fermented foods. 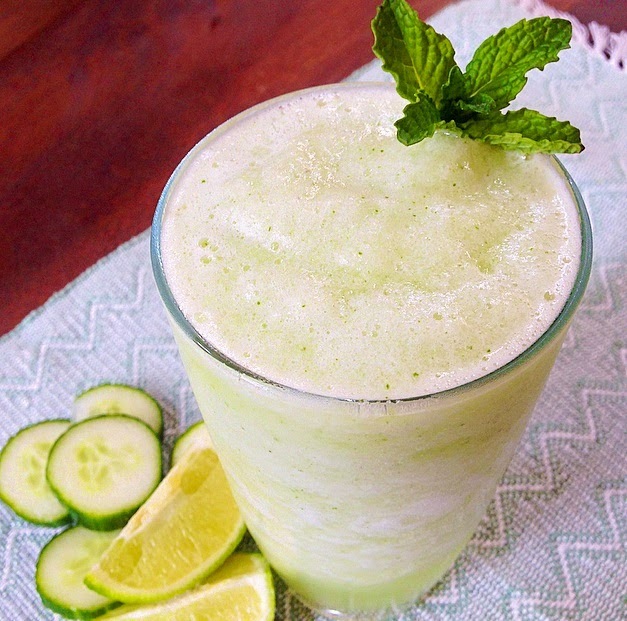 Sip coconut water or add cucumber slices to water. Enjoy fresh ripe berries, melons, apples, apricots, grapes, peaches, pears and ripe plums. 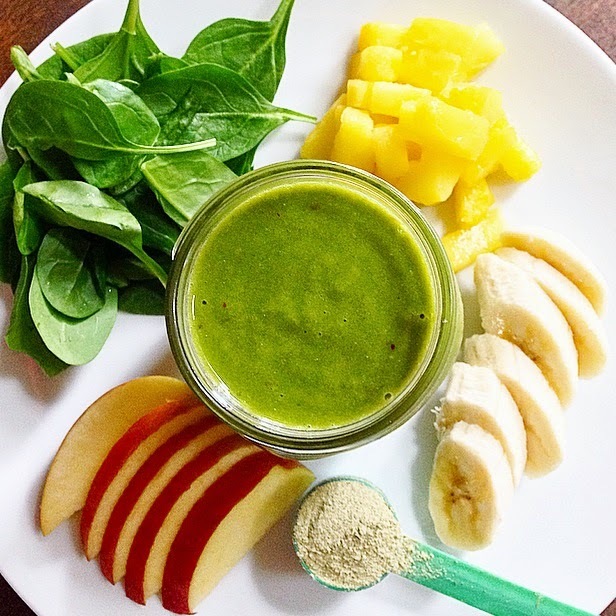 Blend all ingredient in a high-speed blender & enjoy! Spring Clean Your Way To Happy! Oh how I love Spring! Out with the old, in with the new.. an opportunity to start fresh. 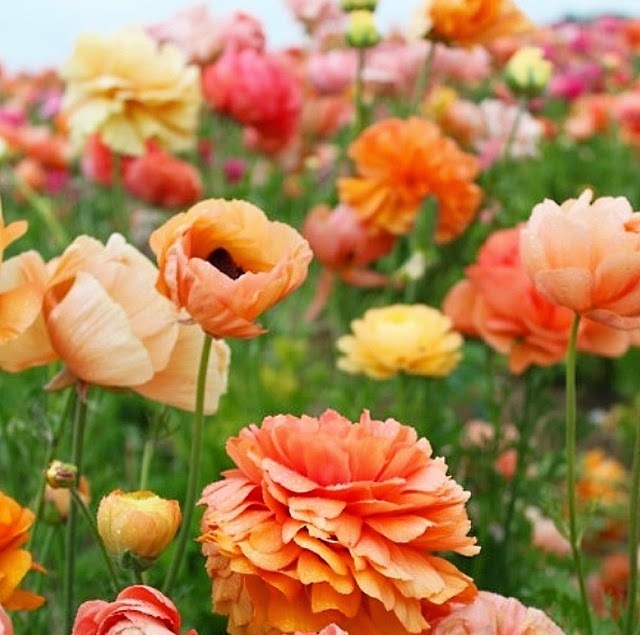 It’s important to honor this time of year with a Spring ritual, to really feel the benefits of the change in season. As Winter ends and Spring begins, here are four things you can do to Spring clean your life! Time to clean out the closets. Donate items to Goodwill, clean out the fridge and pantry, deep-clean & de-clutter the house. Focus your efforts on what you need to clear away in order to feel lighter. All of that clutter is weighing you down. It’s time to lighten up! 2. Detox Cleanse: Your body will thank you. Your body needs spring cleaning too! Cleanses boost immunity, increase energy, and help you shed that Winter weight. During a cleanse, the blood, intestines, and liver are cleansed and built-up toxins are released. It also gives you a clearer, brighter complexion. There are many different types of cleanses, from fasting, juicing, taking certain foods out of your diet, or try a Detox Package to help you get the most benefits. Wear vibrant, bright colors, invest in some high-quality Essential Oils and diffuse citrus and peppermint oil at home or at work, add an abundance of fresh seasonal fruits to your diet, open the windows and let the fresh air in, do your yoga practice outdoors. This will ‘boost’ your overall energy and make you a happier, healthier human being. 4. Re-connect: Time to play! Renew connections with the world around you. Go for a long walk or hike. Call an old friend. Say thank you to the barista at Starbucks for making your latte just how you like it. Plant a Spring garden. Hold the door open for someone. Tell your loved ones how important they are to you. Spend a little extra time with your pets! Approach this new season as a great gift and a chance for re-birth! There's an unlikely beverage that's taking the country by storm! It's the latest trend and apparently you need to know about it: the drink that everyone from Gwyneth Paltrow to Kobe Bryant is talking about. Bone broth is gaining popularity quickly because people know that it tastes amazing and keeps them healthy. And with age-defying, weight-shedding, gut-healing benefits, you may want to jump on the band wagon. Collagen. This structural protein builds strong skin, protecting against aging and wrinkling. While expensive collagen skin creams work temporarily, dietary collagen is far more potent because it mainlines collagen to your cells. The gelatin derived from collagen heals your digestive tract, helping to prevent inflammation. It literally “heals and seals” your gut, promoting healthy digestion. Glycine. Your body is bombarded all day long with toxins that age you. Glycine helps your liver get these toxins out of your body, re-energizing and de-aging your cells. Minerals including calcium, silicon, phosphorus, and magnesium. Bone broth is a fabulous source of these anti-aging minerals, and its chemical composition makes them highly absorbable. Glycosaminoglycans, including glucosamine, chondroitin and hyaluronic acid. These nutrients keep your joints lubricated & flexible. Iodine. Bone broth is rich in this nutrient, which protects against a sluggish thyroid — a major cause of weight gain, thinning hair, and energy loss. 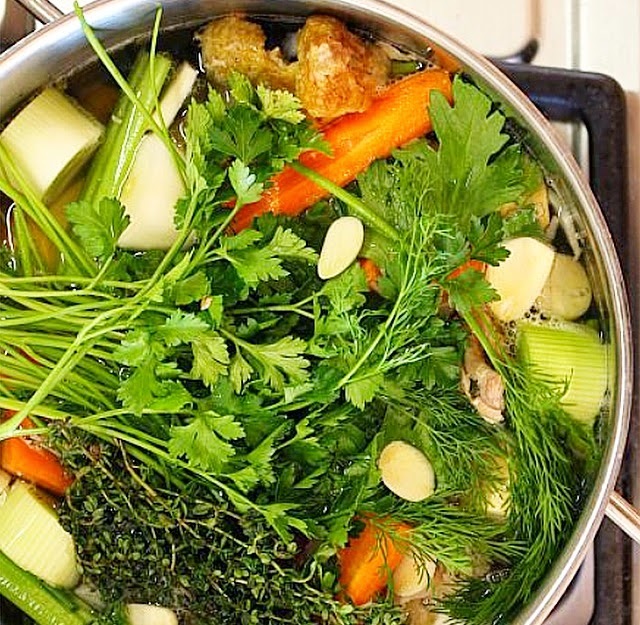 Consider this: Bone broth is one of the oldest healing and anti-aging foods on the planet. So if current science and hundreds of generations of healers say that bone broth works … isn't it worth a try? - One whole ,Organic Free- Range Chicken (2 to 3 pounds) You can also use high-quality bones or frozen leftover bones. You can use beef, lamb, chicken, or turkey bones. 1. Fill up a large pot with filtered water. 2. Add vinegar, garlic, rosemary and all vegetables except parsley. 3. Place the whole chicken in the pot, bring to a boil. 5. Let simmer for at least 8 hours. 6. Add the parsley 10 minutes before finishing the stock. 7. Strain through a fine, mesh strainer to remove fragments. You can use the veggies & chicken for another dish or keep them, but make sure all of the bone fragments are removed. 8. Transfer the broth to large mason jars for keeping in the fridge, leaving an inch of space from the top of the jar. If freezing, leave at least 2 inches of space. Drink at least one cup of bone broth per day, adding fresh veggies, herbs & spices as you desire! Springing forward calls for a late Sunday morning breakfast! I’ve been waiting all week to make these pancakes for the kids. They are gluten-free, so I wanted to see if they recognized the difference between these pancakes and traditional pancake mixes I’ve used in the past. 1. In a blender, combine the almond milk, oil, eggs and banana & blend until smooth. 2. In a large mixing bowl, combine the dry ingredients: Nanopro, gluten-free flour and baking powder. 3. Pour the ingredients from the blender into the dry ingredients & mix until smooth. 5. Use a measuring cup to pour batter into your skillet. Flip the pancake when it starts to bubble. 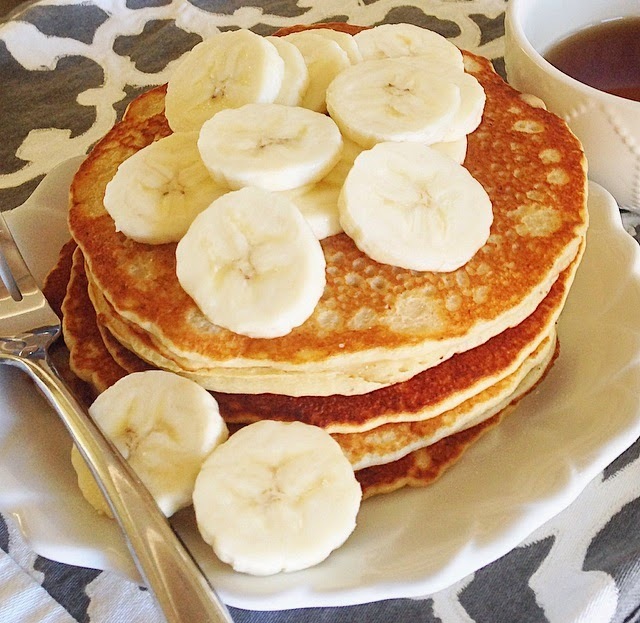 *This recipe yields about 10 pancakes! Hope you all enjoy the longer days that lie ahead! We've all been there! A week so jam-packed with appointments, to-do lists and activities that you can't even fathom cooking.. let alone cooking healthy! The craziness leads to us grabbing food on the go (usually the sugar-filled, processed stuff), and spending a ton of money on eating out. I've found the perfect way to kill two birds with one stone with these guys! Enter: The Mason Jar. 1. Buy some mason jars. Mason jars are really inexpensive! You can find them everywhere, even at your grocery store. Buy the bigger size for 'meal' portion. Skip using ziplock bags for storage.. reduce, reuse & recycle! Plus, the mason jars will keep your food layered instead of mixing together! 2. Shop for produce & start chopping. Buy foods you like! There are so many possibilities. Layer fruit, yogurt, granola & nuts for a healthy start to your day. For lunch, layer veggies, leafy greens, nuts, grains & your favorite dressing! When your ready, pour it into a bowl & dive in! 3. Plan for the week. How many jars do you need for the week, ideally? Make enough ahead of time so you don't find yourself stranded mid-week. Make a commitment to 'brown-bagging it' (or should we say, 'mason jarring it'?) so that when you DO get to eat out, it's more enjoyable! 4. Check your bank account. For all the money you saved, of course! 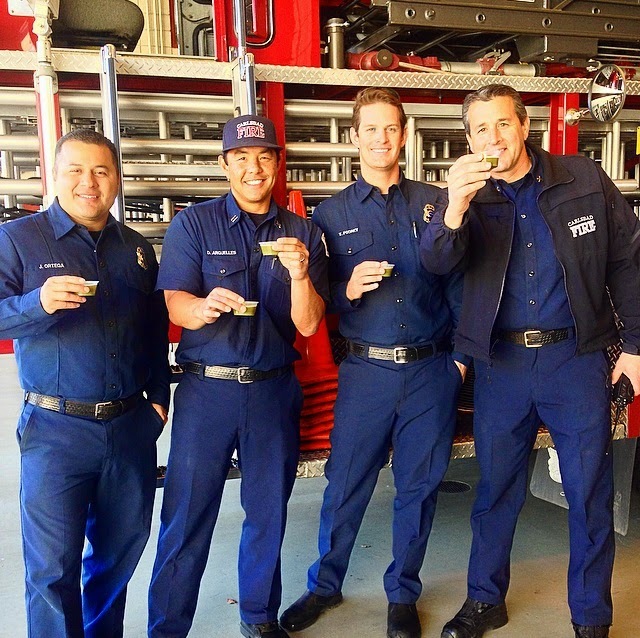 I brought Nanogreens shots to the boys at Fire Station 5 in Carlsbad, California today! I get to stop in regularly on these fellas as one of them is my husband. I'm always amazed at the meals they make for their 'family dinner'. As a group, they grocery shop together, cook together, and clean up together. Every time I have been invited for dinner, the meal is well-rounded, healthy & made with tons of love. Sadly, that's not the case for most of our guys out there. Pizza, Buffalo wings, Mac n Cheese - we love you guys, and that’s why we think the stereotypical ‘male diet’ is due for a makeover. Times are certainly changing as men are recognizing that the first step to taking control of their health is paying closer attention to the foods they eat! Cardiovascular disease is the leading cause of illness in American men, accounting for about 25% of all deaths, according to the latest statistical data from the Centers for Disease Control and Prevention. Consider that the next leading cause of death among men is every type of cancer combined, heart disease is a major killer. Focusing on eating a healthy diet, getting regular exercise and including vegetables as well as cutting back on red meat & alcohol all contribute to a heart health & overall wellness. Beans - Rich in fiber, beans help lower cholesterol and are also high in antioxidants. They contain B vitamins, folic acid & iron, not to mention they are super filling. Studies have shown that people who eat beans 4 or more times per week were 22% less likely to develop heart disease! Oats - Heart healthy oats deliver the perfect balance of carbohydrates, soluble fiber, and protein. There are 10 grams of protein in one-half cup serving! Makeover complete! Add in these heart healthy foods & take control of your health. Channeling some tropical vibes from our Nano Girls who are at Wanderlust Oahu spreading the Nano LOVE! Blend & sip until your hearts content!